bbq, hopefully in the sun. 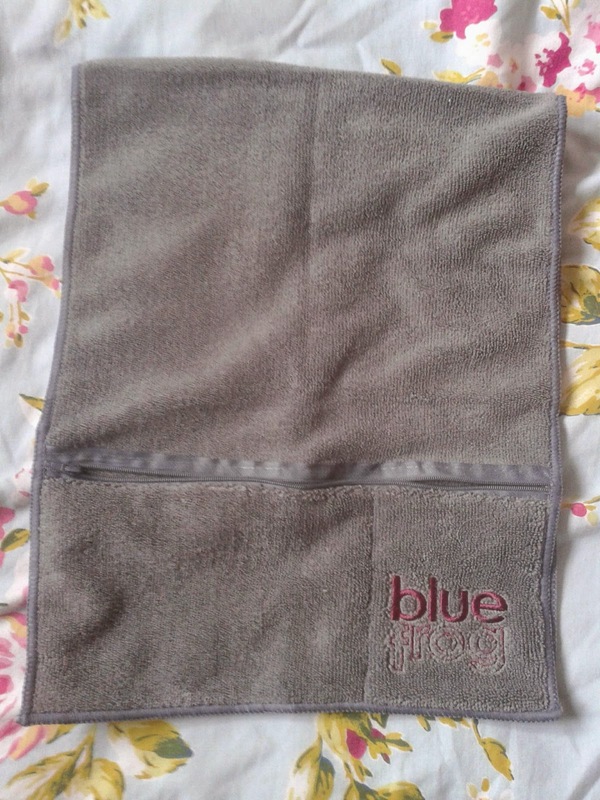 I was recently sent this lovely Microfibre gym towel from the lovely people over at Blue Frog. The unique towels are made of light-weight microfibre fabric which offers fantastic drying results. safe from scratches, whilst the towel mops up your sweat effectively. in other objects such as your gym card, Ipod and keys. I am looking forward to seeing what other colours that Blue Frog come out with! This sounds perfect! I never know where to put my phone and car keys when I go to the gym. I'm sold!